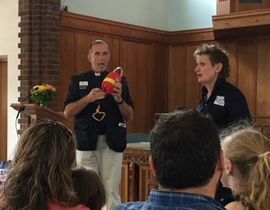 On Sunday 8th July 2018, Amanda Allchorn was commissioned at Christ Church Baptist, Kings Langley as a Waterways Chaplain for the Kings Langley to Apsley area of the Grand Union Canal. 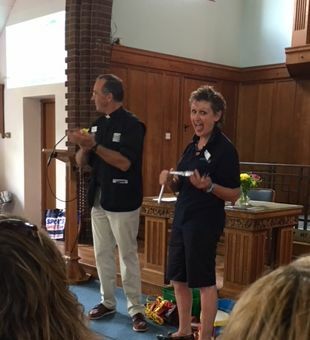 Demonstrating what one might do whilst walking out as a Chaplain, National Senior Chaplain Revd Mark Chester thought he would throw a life line in the congregation. 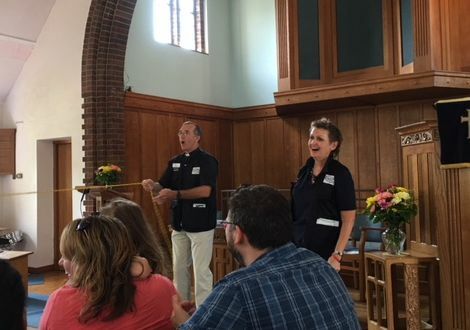 A very different take on Christians being ‘fishers of men’!